I was really excited about April's You Beauty Discovery Box when the preview came through; I knew exactly what two products I was going to choose from the Organic and Natural theme. The first product I chose is the Spa to You Konjac Sponge, which is for use when cleansing as it naturally and gently helps to exfoliate, hydrate, soften and bring a glow to the skin. I've wanted to try a konjac sponge for ages, so I really hope this works for my skin. After the Our Tiny Bees letdown I decided to pick the Scentered Sleep Well Therapy Balm as my second choice. It contains 14 essential oils including Lavender, Ylang Ylang, Chamomile and Palmarosa to help clear the head and quieten the mind. I do struggle with sleeping, so this is a nice addition to my bedside table as I don't have any pillow sprays. It'll be great for travelling too. 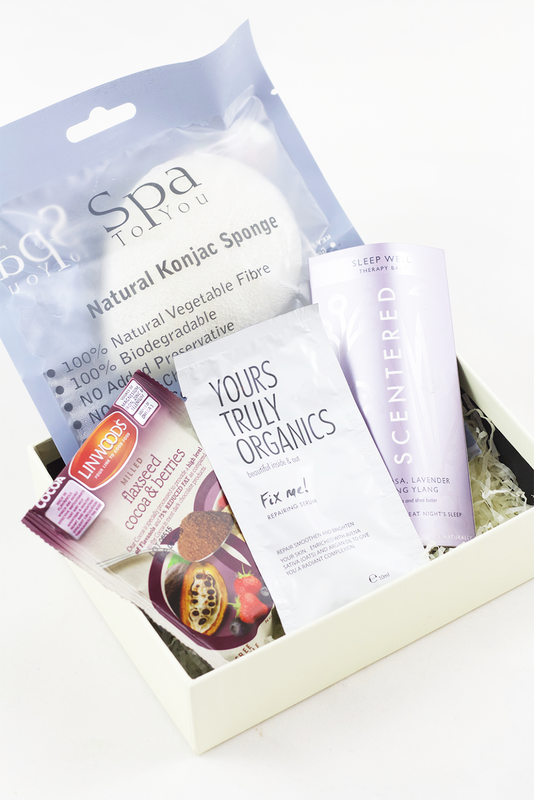 The extras this month (that every box gets) are firstly, a sachet of the Yours Truly Organics Fix Me! Serum and secondly, a mini pouch of the Linwoods Milled Flaxseed, Cocoa and Berries. I've used the serum before and really liked it, so I'll definitely be using this up quickly. I'm obsessed with milled flaxseed at the moment - I put it in my cereal, smoothies and on toast, so I can't wait to use Linwoods' version with cocoa and berries. Big thumbs up for these extras! 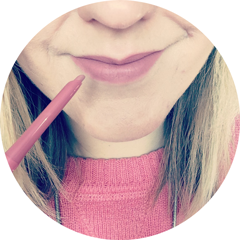 If you're already a fan of natural and organic beauty, or want to start using more in your routine, then I'd recommend picking up April's You Beauty Discovery Box. Other products available in this box come from brands Tisserand, He-Shi, Green People and Heaven Skincare. Find it online here. I've heard of Konjac Sponge before and I would be really interested in hearing how you get on with it. I like milled flaxseed as well and the one from Linwoods with cocoa and berries is my favourite. I put it in my muesli, porridge and smoothies. I am not sure whether I would buy one of these boxes though - I think it should contain mostly products I haven't tried before and those that are suitable for my skin type. I do love when beauty boxes throw in something to nibble on! And this does look like its got a good mixture of items! I'd like to try the sleep balm but it's a shame your first choice was out of stock, it sounds lovely!